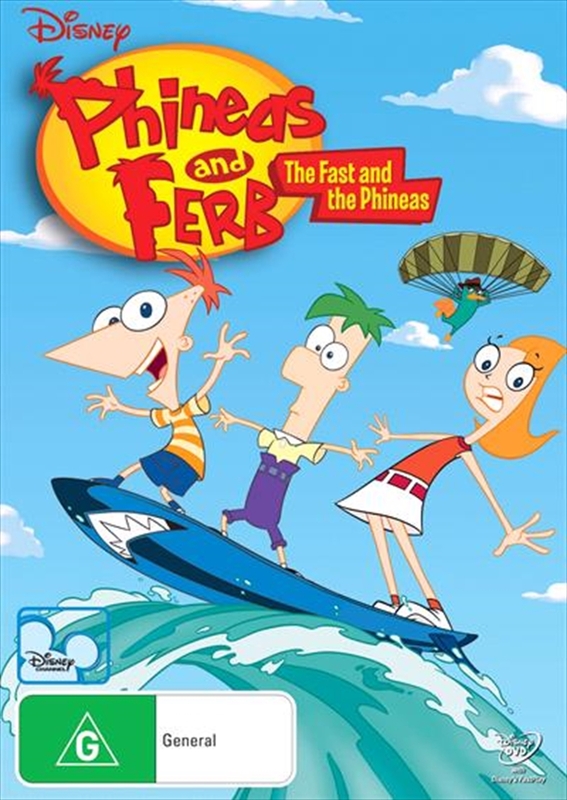 From the smash-hit Disney Channel Original Series "Phineas & Ferb" come five hilarious episodes filled with awesome adventures! Plus, get the inside scoop on how "Phineas & Ferb" was first created and chill out at the amazing "Homemade Tree Shade Arcade" for some supercool games that will keep you coming back for more fun and laughs! Nothing's impossible for "Phineas & Ferb"! When school's out for the summer, the stepbrothers plan all kinds of exciting and fantastic adventures for each day of vacation. Soup up Mom's car and enter the Swampoil 500 Race? No problem! Form a rockin' band and become a one-hit wonder? Sure! Rebuild a time machine and bring back a T-rex? Excellent! Meanwhile, their big sister Candace is going nuts trying to bust them to Mom and Dad, and their pet platypus is leading a double life as "Agent P," who is secretly saving the world from Dr. Doofenshmirtz's evil plots. If they can imagine it, they can do it - and "Phineas & Ferb" are gonna do it all.